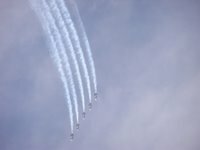 I’ve never been a big fan of Air Shows but this year I will admit I got caught up! Not enough to pay for a ticket mind you, but enough to venture outside my office on several occasions to shoot some photos of the spectacular planes as they did a regular “fly-by”. Here are a couple of the images I captured. Not the greatest shot, but a pretty good shot utilizing a digital camera without a true zoom lense. I must say that the thought of free falling in an airplane never looked more peaceful to me. I don’t know if it is all of the chaos that has been my life of late or what, but I could imagine myself thousands of miles away soaring with the clouds and being totally at peace! 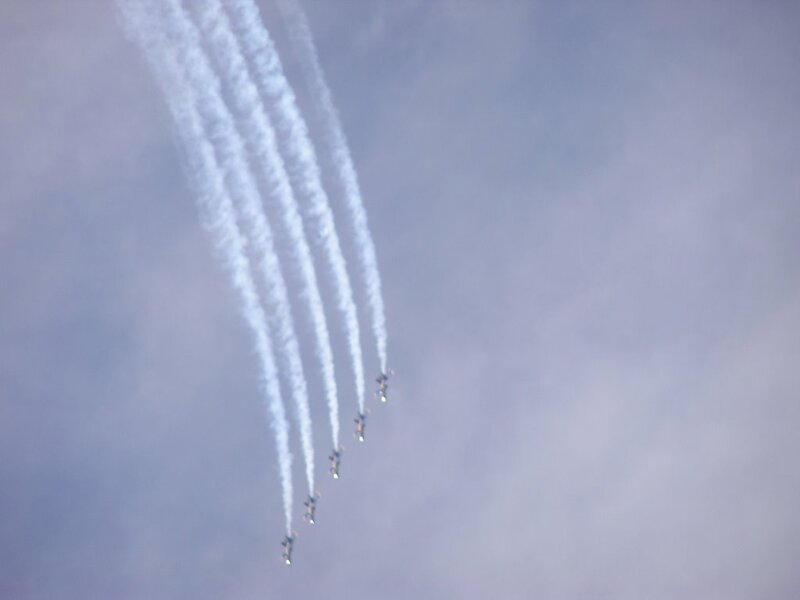 I absolutely love the air show. There is some sincerity in seeing the ‘falling’ plane(s). Thanks for sharing. Next Next post: Michael Baisden hits Cleveland airwaves!